If you’ve ever asked the question, “What’s next for the retail industry?” then this roundup is for you. Similar to our previous compilations, this report sheds light on the trends and issues that we think will make the biggest impact on the retail industry in the very near future. In 2018, the act of buying commodities (i.e. buying things because we HAVE to) will become less of a chore. Players like Amazon and subscription businesses will make this part of retail easier through offerings like auto-renewals, one-tap purchases, and same-day delivery. In other words, the “chore” or routine component of shopping will become more streamlined. Meanwhile, the experiential side of retail — the part that involves discovering great products and socializing with others — won’t be going away. People will still make their way to physical stores, not because they want to “buy stuff,” but because they want to get experiences that they won’t find anywhere else. “There is no doubt that Amazon will continue to disrupt distribution, in particular in the chore side of retail that not many of us like. Technology can predict our behaviour and preferences and automation can deliver our bread, toilet paper or a replacement phone charger just in time. Alexa can be your personal assistant simplifying the chore of retail. “Alexa, we need more dishwashing liquid, and something eco-friendly please”. I think this leads to a more delightful experience because it removes the chore. Personalization will still be a key retail trend in 2018 and beyond. We’re not just talking about putting someone’s name in an email subject line or letting customers put their initials on products. We’re referring to personalization that enables shoppers to build products and customize them to the very last detail. For one, modern consumers are placing a lot more value on experiences over physical items or commodities. And so, when shoppers purchase tangible products (beyond things like groceries), they want those items to either tell a story, fit into their lifestyle, be completely unique, or all of the above. Allowing shoppers to build and personalize products not only fulfills those standards, but it also make shopping itself a lot more exciting. What could be more interesting than building your very own purse or watch? 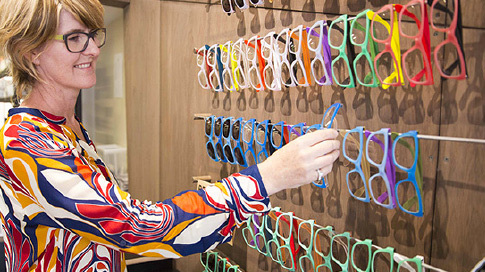 If you want to see next-level personalization in action, check out Dresden, an eyewear retailer and eye healthcare provider. The company aims to revolutionize the industry by providing the world with affordable, locally-made and sustainable eyewear. Dresden takes plastic waste from Australian beaches and discarded fishing nets and upcycles them into affordable frames. Dresden lets shoppers create their own pairs of sunglasses by enabling them to interchange the lenses and frame parts (which come in a variety of colors and sizes). The result? Shoppers can purchase eyewear that’s unique, stylish, and environment-friendly. While we might see a few robots talking to shoppers on the shop floor, we expect bots to play a bigger role in supporting retail operations. One example? Fulfillment centers. Companies such as Amazon are investing in robots to help pack and ship items. In 2017, the retail giant had robots in about 20 percent of its fulfillment centers, and we anticipate this number to grow. This trend won’t slow down in 2018. As more consumers embrace instant messaging apps such as Facebook Messenger and WhatsApp, we can expect retailers to use these platforms to talk to customers and streamline communications. For instance, if a shopper wants to track their order, they can just “ask” the retailer on Messenger, and a chatbot can automatically retrieve the shipment information. Other retailers (e.g. 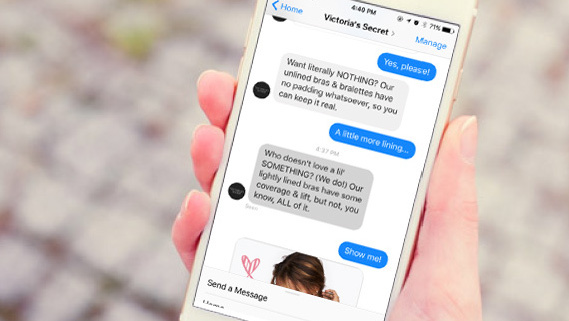 Victoria’s Secret) are using chatbots to showcase their product lines. It 2018, it would behoove retailers to look at what messaging platforms their customers are using, and explore ways to use chatbots to build relationships and improve customer service. “Mobile commerce is on the rise and social media is likely to be a bigger part of that in the future. In addition, chatbots are offering another way of buying through social media platforms like Facebook Messenger. All sorts of brands from H&M to Pizza Hut are experimenting with shoppable chatbots. The rise of Instagram Stories, Facebook Live, and messenger apps will fundamentally change how retailers interact with consumers online. Simply posting photos or updates to a branded social profile won't cut it anymore. Retailers will need to up their social media game and use social networks and apps to tell stories and engage with fans in real time. Birchbox - Birchbox uses Facebook Live to share great content and engage with fans. The cosmetics brand regularly runs Facebook Live videos in which members of the company share news, give away prizes, and answer questions on the air. According to MarketingDive, Birchbox’s top performing stream “lasted 40 minutes and had an average view time of 10 minutes among the nearly 50,000 viewers who participated live.” Not bad, considering people’s attention spans (particularly online) are getting shorter and shorter. Born Originals - German fashion brand Born Originals has a large and engaged Instagram following, and was even featured on the official Instagram for Business account. Born Originals creates customized sneakers and leather goods that are beautiful as they are functional. It’s no wonder their Instagram posts do incredibly well. Their account is filled with gorgeous photos from the company and their customers alike. Born Originals also makes good use of Instagram Stories. Melvin Lamberty, founder and owner of Born Originals, told Instagram that Stories remain a powerful marketing tool for their brand. “Users are likely to watch Stories, so we make sure they find all important release, restock and sale info there first. We often include links to make it easy for people to shop there directly, and location filters to raise brand awareness in key cities." Data’s role in retail decision-making will grow, especially as technologies like Big Data and machine learning continue to mature. Forward-thinking retailers will keep exploring ways to collect and leverage data in their sales, marketing, customer service, and operations. Additionally, Walmart is making use of facial recognition to identify shoppers who are unhappy or frustrated. That data can then be used to tell associates to open new checkout lines. It’s important to note though that being data-driven isn’t just for large retailers like Walmart. Smaller players can also leverage data and gain actionable insights using sophisticated retail reporting. Case in point: Dish The Fish, a fish stall in Singapore. While the stall may be running a “traditional” fish business, their retail management system and analytics are anything but. Dish The Fish uses a cloud-based POS and retail management platform to run their business. The system allows them to track their sales and inventory, and Dish The Fish uses that data to make smarter decisions. Because of this modern setup, Jeffrey Tan, the stall’s owner, always knows what his top-sellers are and how fast each fish sells out in a day. That information has proven to be valuable in his decision-making. “I used to order a lot of the ikan kuning [type of fish] when I'm at the port, because I thought it sold really quickly," he told United Overseas Bank (UOB). Monitoring his retail analytics also helps Jeffrey connect with his customers. Data makes him keenly aware of the tastes and preferences of his shoppers, and he uses that information to improve their experience. “I can see what these customers like and I can recommend other fish to them. You know what their tastes are like after a while. Sometimes they like it, so that’s good. If they don’t, they will tell me and I will suggest something else,” he told UOB. “Making data and analytics a competitive advantage for retailers and brands begins with an ecosystem of shared intelligence. Allowing an open system and partnering with enabling technology vendors who genuinely want to help grow the brand is the only winning strategy. Solution providers like RetailNext provide cutting-edge technology measuring in-store shopping behavior, and when applying shopper data with customer data from a retailer’s loyalty program, the insights are significantly more relevant and actionable than viewing data in isolated silos. Furthermore, with open systems, digital business data can be layered over physical store data, allowing deeper analytics and insights of both shoppers and customers. Moving into 2018, technological investments will center on shoppers’ mobile devices, today’s ‘first screen,’ and IoT technologies that further develop the smart store and deliver deeper analytics of in-store shopping behavior." Augmented reality (AR) has been around for quite some time now, but we expect it to get even more sophisticated in 2018. Apple baking AR into the iPhone and iOS will certainly increase development and adoption of the technology. One retailer that’s leading the pack with AR? IKEA. Shortly after iOS 11 was released, IKEA Place, an app that leverages Apple’s ARKit, hit the App Store. The app allows users to preview how different IKEA products would look in their physical environment. All they need to do is to scan the floor using their iPhone and then select the product they want to place. This year, we anticipate apps such as IKEA Place to grow in popularity. As AR technology matures, more retailers will explore ways to use it. Yes, you read that right. Despite the doom and gloom being reported in certain retail sectors (i.e. department stores), we firmly believe that brick-and-mortar retail is alive and well. Traditional store formats may be on the decline, but innovative stores — ones that offer great shopping experiences — will continue to emerge. 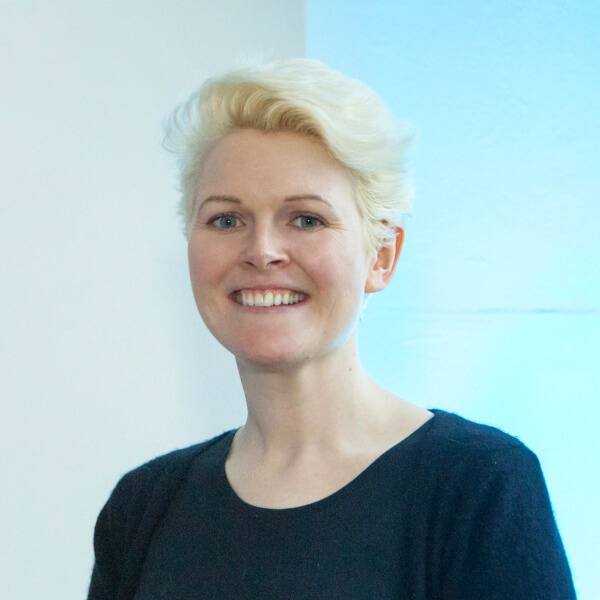 It’s a similar story in the UK, where data from the British Independent Retailers Association shows that more shops were opened than were closed in the first quarter of 2017. This was an increase of 414 shops in the first three months of 2017, compared to a net increase of just 4 shops for the same period the previous year. It’s important to note that technology will fuel — not curb — the rise of brick and mortar retail. Thanks to modern point of sale and retail management systems, it’s never been easier to open a retail business. Mobile applications and cloud-based solutions are enabling merchants to quickly set up shop with a minimal investment. Because of this, we’ll be seeing more independent stores enter the market. “The internet has had a flattening effect on the industry, and as a result, even the smallest retailer has tremendous opportunity to launch and thrive. Advertising costs have never been lower, because of the power of social media. Independents can develop a following at a relatively low cost if they have a product or service that people are passionate about. Consumers will be increasingly mindful of their purchases. More and more shoppers are choosing products that are sourced responsibly and are good for their bodies and the environment. Meanwhile, retailers that have placed health or sustainability at the core of their business from the beginning are continuing to thrive. Dresden (mentioned above) has been growing incredibly fast, opening 5 new stores in just 18 months. There’s also, HealthPost New Zealand’s largest online retailer of natural health and beauty products, which expanded to brick and mortar retail in 2014. In that time, HealthPost has seen a major improvement in their customer experience and business success, experiencing a 75% year over year (YOY) increase in their Auckland retail store. Consumers no longer want to leave the house to buy commodities. So, what will retailers do to reach these customers? We anticipate that many merchants (particularly those selling commodities) will try to engage customers by connecting with them in their homes. Companies such as Enjoy, which hand-delivers and sets up electronics for consumers, will expand, and other retailers (especially grocers) will ramp up their home delivery services. Signs of this happening include Postmates, the on-demand delivery platform, continuing to extend its services beyond food delivery. The company has added more retailers to its delivery network in 2017, and it will likely add more in 2018. Meanwhile, IKEA recently purchased TaskRabbit, a platform that connects consumers with service providers who can do things like assemble furniture, install appliances, and more. Clearly, IKEA wants to build up its in-home services offerings, and the purchase of TaskRabbit is a huge step towards that. We’re also seeing a few retailers bringing back the “travelling salesman.” Both Amazon and Best Buy are sending people into consumers’ homes to consult and recommend electronics they could use around the house. QR codes have gone in and out of style many times in the past decade or so, but for 2018, we’re willing to bet that these codes will make a comeback. With Apple baking QR code scanning into iOS 11, it’s easier than ever to use QR codes. All you need to do is launch the iPhone’s native camera app, and it will automatically read the codes — no extra software required. This will encourage businesses to further leverage QR codes in their sales and marketing. Many brands are incorporating these codes into their packaging or advertising and marketing materials to make it easy for shoppers to quickly visit their website on their mobile device. Other companies are using QR codes to drive their content marketing and social media initiatives. 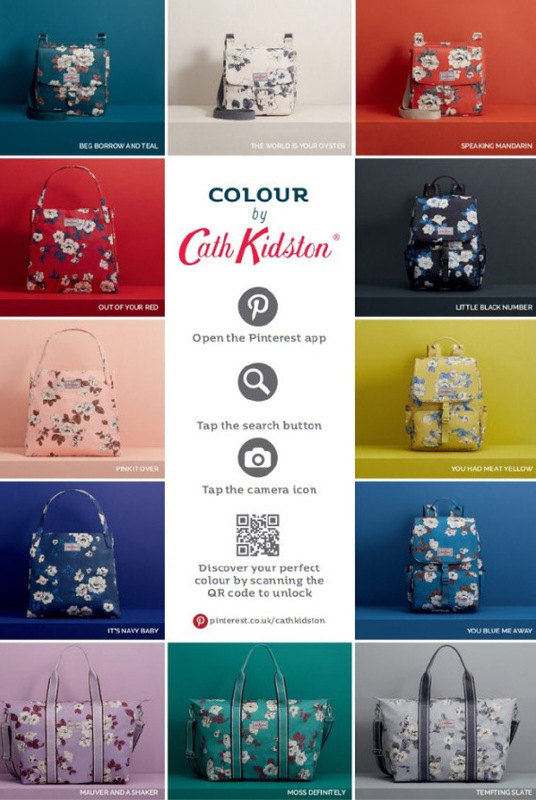 For instance, retailer Cath Kidston recently teamed up with Pinterest to launch “Colour” QR codes. The effort celebrated Cath Kidston’s new accessories collection, “Colour,” and was implemented in 68 of the brand’s stores, according to FashionNetwork. A “Colour” QR code was attached to each bag’s tag which, when scanned, would take shoppers to a special Pinterest board that contains inspiring images, styling ideas, and more. We can expect to see more of these QR code initiatives in 2018 and beyond, especially as more consumers upgrade to iOS 11. “With QR codes coming native to iOS 11, small business retailers have an incredible opportunity with QR codes. They could provide the easiest call-to-action (CTA) at the POS and enable local shops a mobile-first channel of engagement for customers immediately post-sale on receipts. That's why at Star Cloud Services, we created Promo PRNT and will be rolling it out soon. 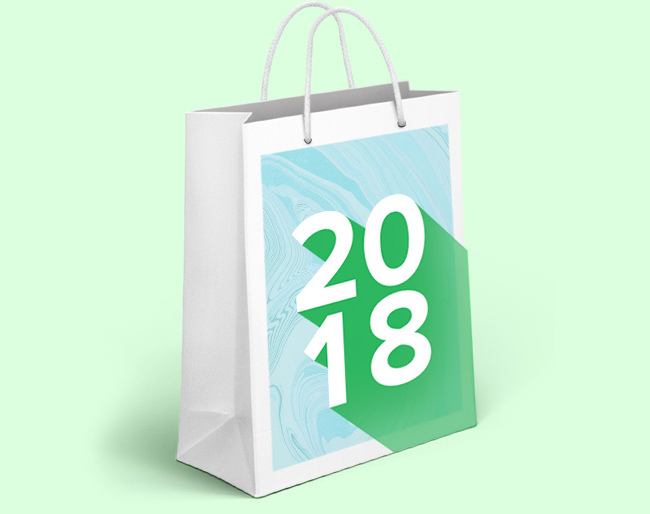 Retailers that are able to effectively curate assortments for their customers will win in 2018. Gone are the days when you could just stock up on more products and expect people to buy. Modern shoppers are inundated with product choices, and at the end of the day, many will choose to buy from category experts with inspiring collections. Retailers can approach product curation through a number of ways. For some merchants, it’s about creating thoughtful (often hand-picked) assortments of products they know their specific customer would love. One example? TheSuperCool, a Melbourne-based emporium that sells unique, everyday items. TheSuperCool started off as a mobile gift emporium, driving around Australia and using social media to alert their fans to their presence. Since then, the company has hosted 30 pop-ups, opened a brick and mortar location in South Melbourne, and expanded their brand with TheSuperCool Kid. How did the company do it? Critical to TheSuperCool’s success are their assortments. The retailer’s products are thoughtfully curated and are sourced from small business makers that offer organic, fairtrade, and handmade items. The company also collaborates with artists to offer exclusive products. Because of this, the store’s items are unique, high quality, and oozing with personality. Other retailers are offering curation services through subscription boxes. Take Sephora, for instance. In 2016, the beauty retailer unveiled PLAY!, a monthly subscription in which members get five deluxe beauty samples (plus a fragrance bonus) delivered to their doorstep. The boxes are curated by Sephora’s experts, and their selection also factors in each member’s profile. Expect one-size-fits-all (i.e. traditional) store formats to decline. Retailers will increasingly establish a variety of store formats to address the needs of different markets and locations. Target has being doing this for quite some time now. The retailer has big box stores in suburban locations, but it establishes smaller format stores in dense cities and downtown areas. We anticipate this trend to keep going, and some retailers will experiment with more creative formats. Check out what Nordstrom is doing. In 2017, the retailer unveiled its new concept, named Nordstrom Local which it will be testing in West Hollywood, CA. The shop would be much smaller (3,000 square feet) than its department stores which are typically 140,000 square feet. The store will also offer manicures, and serve beer, wine, and coffee. The future is bright for retailers who adapt to the needs of their customers. The merchants who will find success in 2018 and beyond are the ones that can successfully evolve along with consumers. How can retailers pull this off? That depends on their market and their target audience. Businesses need to look at what the data is telling them and use those insights to determine the best course of action. For some, evolving might mean exploring new store formats or revamping their selection. For others, it could mean using new technologies or retraining their staff. In all cases, it will be about putting the customer first, and creating a more personal in-store experience. But one thing is clear: if retailers want to thrive in the coming years, staying stagnant is not an option. 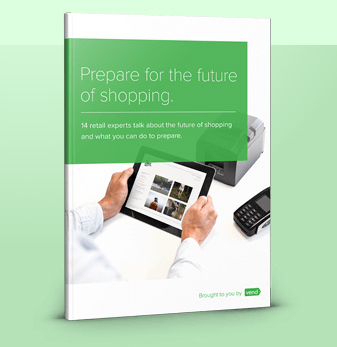 Is your retail business ready for the future? Let Vend help. Learn more about our POS, inventory management, ecommerce & customer loyalty software or try it for free today.